Connected to: Schaefer, O. “Nutrition and health: Impact of changing dietary habits.” In Steckle J. Northern Foodcosts. Monograph, Health and Welfare Canada, Ottawa, 1984. Schaefer, O. 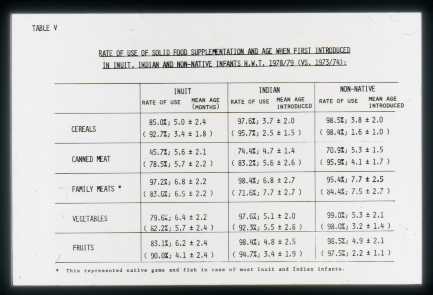 “Food resources and changing dietary patterns of the Eskimo child.” In Haworth, JC., ed. Second Ross Conference on Pediatric Research: Nutrition of Indian and Eskimo Children. Toronto, November 1974. Montreal: Ross Laboratories, 1975: 19-22.